Teresa has been associated with St Peter’s since 1965, when her father Eddie Matthias became Rector of Chailey. She was married here and both her son and daughter were baptised at St Peters. Teresa currently lives in Piltdown but has many associations with Chailey. Teresa is our parish administrator and works tirelessly keeping everything organised and up to date! ​I'm from South Wales originally, emigrated to the South East over 30 years ago, made it to North Chailey in 2007 and began to worship at St Peter's. I have been a secondary school teacher all my life, having worked in Wales, Kent, Zimbabwe and Surrey, but I think I am now in beautiful Sussex to stay. 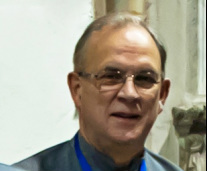 Anthony is our treasurer and is responsible for all financial matters of the church. He is also a very skilled sound and vision technician and helps to make our Pete's Puppets performances and concerts memorable for all. daughters and two granddaughters. 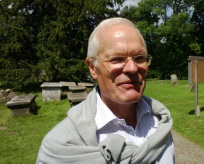 He was Churchwarden for 21 years until his retirement from the role in 2012. Chris is now in charge of distribution and advertising for our parish magazine, Chailey News. Kirstine is our choir leader. She is always interested to hear from potential new choristers.